The house was anything but crowded on Wednesday night with Ruth Eckerd Hall’s 2,100 seats only half-filled, unfortunately, but Neil Finn and company engaged the faithful with as much sincerity and showmanship as they would a offer a stadium filled to the rafters. For two solid hours, Crowded House—rounded out by bassist Nick Seymour, keyboardist Mark Hart, and drummer Matt Sherrod—culled their back catalog while introducing tracks from their latest album, Intriguer, to deliver a melodic-pop master class and an all-around impeccable performance. Finn sang with marked consideration, never coming across like revisiting the band’s past hits was an obligatory means just to play the new material. This song may mean a great deal to someone here tonight, he seemed to suggest. And the hits—“World Where You Live,” “Fall At Your Feet,” and “Something So Strong,” among them—were in abundance, much to the delight of everyone, who added their voices at just about every opportunity. “Thank you for singing with us,” Finn said, after “Don’t Dream It’s Over,” visibly touched. A request from a fan in the front rows for “Message To My Girl” yielded the premier highlight of the night, with Finn on keyboard giving the Split Enz classic a slow, sensuous treatment. The new album didn’t command as much of the performance as one may have at first anticipated (yielding a mere four songs), but what ultimately made the setlist fared quite well. “Either Side of the World” proved an early standout, with the melodic nuances of its studio version rendered even more pronounced and soulful on the stage. As well, with its wistful distinction, “Twice If You’re Lucky” felt instantly familiar, as if the band had been playing it for years. 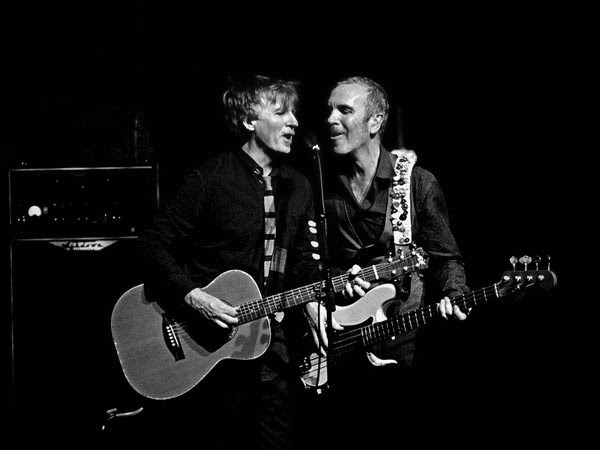 The encore saw Crowded House, along with openers Lawrence Arabia, paying tribute to the recently deceased musician and producer, Ben Keith, with a cover of “Old Man,” one of several Neil Young classics to which he’d originally contributed. Poignant renditions of “Not the Girl You Think You Are” and “Better Be Home Soon” followed, culminating in a most-fitting farewell.